A recent study found a correlation between loneliness and cancer mortality risks, indicating that the role of loneliness is a significant factor to cancer’s course. The release of stress hormones is triggered by the feeling of loneliness, which ultimately associates with higher blood pressure, decreased resistance to infections, and increased risk of cardiovascular disease and cancer. Additionally, studies have found that the perceived sense of loneliness accelerates cognitive and functional decline which serves as a preclinical sign for Alzheimer’s disease. Volunteering will allow your senior to connect with new people that share similar interests while empowering them as they give back to people in need. This gives them an opportunity to make a difference in their community and feel a sense of belonging. Local community centers need volunteers for programs and activities which entails helping people sign in to an event or give out food. 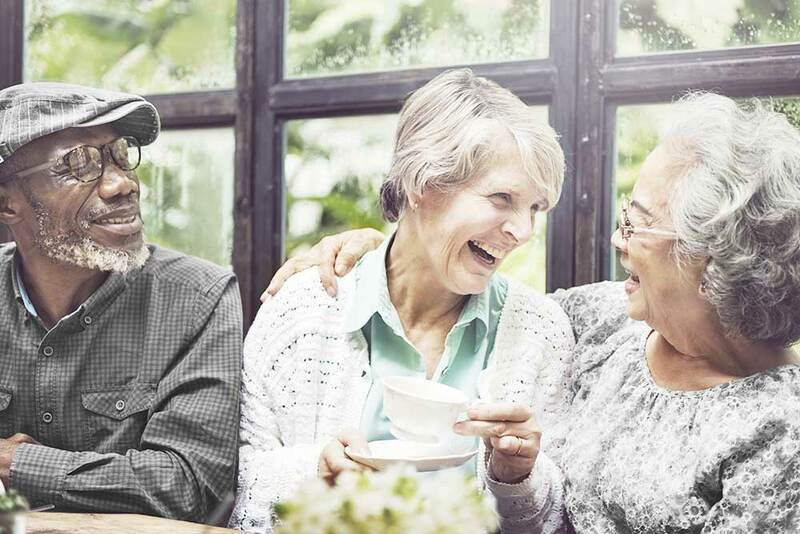 Whether it’s putting together a potluck for your neighbours, joining a book club or playing games, staying connected will enable your senior to create relationships and share their interests with others. Within these new connections, it allows them to have more diverse relationships and friendships. Yes, technology! This seems like a daunting idea but there are workshops available for your senior to learn how to use technology to stay connected. We know the feeling of receiving a check-in phone call or a text when we aren’t feeling well. If your senior understands how to text or use social media platforms, it ensures that they are easily reachable and feel connected as they can contact you at any time. Many local community centers hold physical activity classes for seniors which allows them to connect with others their age and receive exercise benefits. Playing a round at the golf course or visiting a local attraction with a friend allows your senior to explore new areas of their surroundings, and feel more connected to the environment and community around them. Mental health & well-being are profoundly social which is key to combatting loneliness. With our home care, it allows your senior to socialize and receive consistent care, creating a relationship with their care giver.